Thank you for choosing Eleaf products on istick.org! Please read this manual carefully before use istick pico 25 so as to use correctly. If you require additional information or have questions about the product or its use, please consult our facebook page, or visit our website at www.istick.org. Power on/off: screw off the battery cap, put one high-rate 18650 battery (positive side down and negative side up) into iStick Pico 25 and finally screw the battery cap on. The device can be powered on/off by pressing the fire button 5 times. 1.Please be careful not to use battery with torn casing as it is a safety hazard. 2.Please make sure you are using high-rate 18650 battery whose continuous discharge current is above 25A. Adjustment buttons lock/unlock: keep pressing “+” button and “-” button simultaneously for two seconds when the device is powered on, then the adjustment buttons will be locked and the screen will display “Key Lock”. In the same way, the adjustment buttons can be unlocked and the screen will display “Key Unlock”. Through this operation, you can protect the buttons from unintentional presses and prolong their lifespan. Switch display interfaces: in power-on state, choose VW mode; keep holding “+” button and fire button till the current interface flashes; when it’s flashing, press “+”or “-” button to switch among different interfaces; finally press fire button once to confirm the interface you chose. Preheat function: in power-off state, keep holding “+” button and fire button till the M1 mode appears; press the fire button 3 times to “Power”, and press “+” or “-” button to adjust the wattage of preheat; press the fire button again to “Time”, and press “+” or “-” button to adjust the second of preheat or to turn off the preheat function. Switch vaping modes: when the device is powered on, press the fire button 3 times in quick succession, the device will display current vaping mode. Press the “+” or “-” button to switch among VW, Bypass,TC-Ni, TC-Ti, TC-SS, TCR-M1, TCR-M2, TCR-M3 modes and then press the fire button once or stay in the interface for about 10 seconds to confirm the vaping mode you chose. Adjust wattage: in TC-Ni/TC-Ti/TC-SS/TCR(M1,M2,M3) mode, the output wattage can be adjusted from 1W to 85W. Press the fire button 4 times in quick succession to enter the wattage setting menu and press “+” or “-” button to increase or decrease the wattage level. Keep pressing “+” or “-” button without looseness to rapidly increase or decrease the wattage level. Adjust temperature: in TC-Ni/TC-Ti/TC-SS/TCR(M1,M2,M3) mode, temperature can be adjusted from 100-315℃ or 220-600℉ by pressing “+” or “-” button, “+” button to increase and “-” button to decrease. Each press of the “+” or “-” button will increase or decrease the temperature setting by 5℃ or 10℉. Keep pressing “+” or “-” button without looseness can rapidly increase or decrease temperature setting. Shift between ℃ and ℉: if you increase the temperature to 315 ℃, and continue to press the “+” button, the temperature reading will automatically change to the lowest Fahrenheit (220℉). Equally, if the temperature is set at the lowest Fahrenheit (220℉) and you continue to press the “-” button, the temperature reading will automatically change to the highest Celsius (315 ℃). Lock/Unlock resistance: in TC-Ni/TC-Ti/TC-SS/TCR(M1,M2,M3) mode, when the device is powered on, keep pressing the fire button and “+” button simultaneously for two seconds to lock or unlock atomizer “base resistance”. The lock sign will appear when resistance is locked and “Ω” symbol will come back when unlocked. 2.In resistance lock mode, when you remove the coil and then put it back, the device can maintain the same “base resistance” although the coil resistance may increase due to the rise of temperature. In resistance unlock mode, when you remove the coil and then put a coil back, the screen may display “New coil up same down” as the coil resistance may increase within certain range. If it is the same coil, press the “-” button and if it is a new coil, press the “+” button. But please unlock the resistance when you want to change an atomizer or a coil of different resistance. 3.When using a common coil or a coil whose resistance is above 1.5ohm in TC-Ni/TC-Ti/TC-SS/TCR(M1,M2,M3) mode by mistake, the device will automatically switch back to VW mode. Charging: The battery power indicator on the screen of the device will keep flashing when the remaining power of the 18650 battery is less than 10%. The 18650 battery can be charged in the device through USB port via wall adapter or a computer or charged with an external battery charger. If the 18650 battery is charged in the device, the battery bar on the screen will keep flashing during charging and the screen will go out when fully charged. Low-voltage Protection: when the voltage of the battery is below 3.3V, the screen will first display “Battery Low” and then “Lock”. Charge the battery to unlock the device. 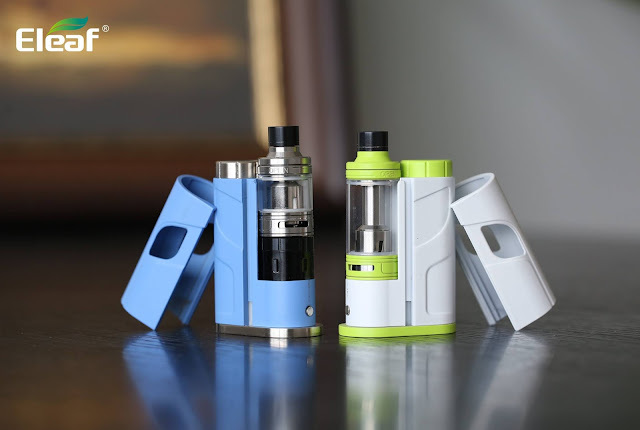 Weak Battery Alert: in all vaping modes, when the device is working with an atomizer and the voltage of the battery drops below 2.9V, the screen will display “Weak Battery”. Meanwhile, the output power will be reduced accordingly.